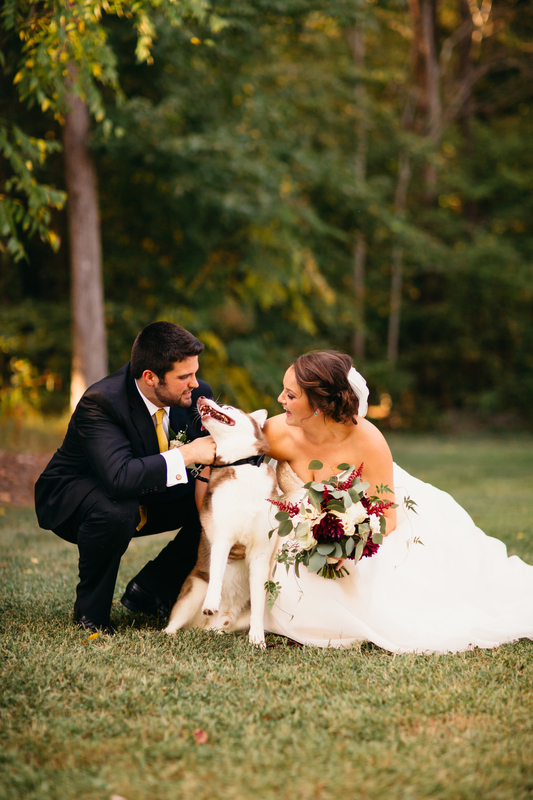 Winnie and Patrick were married at the Mim's House in Holly Springs back in September! 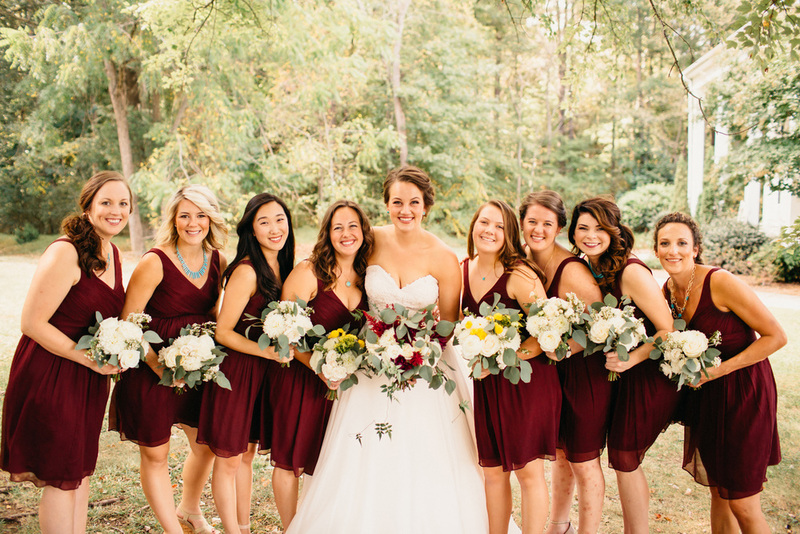 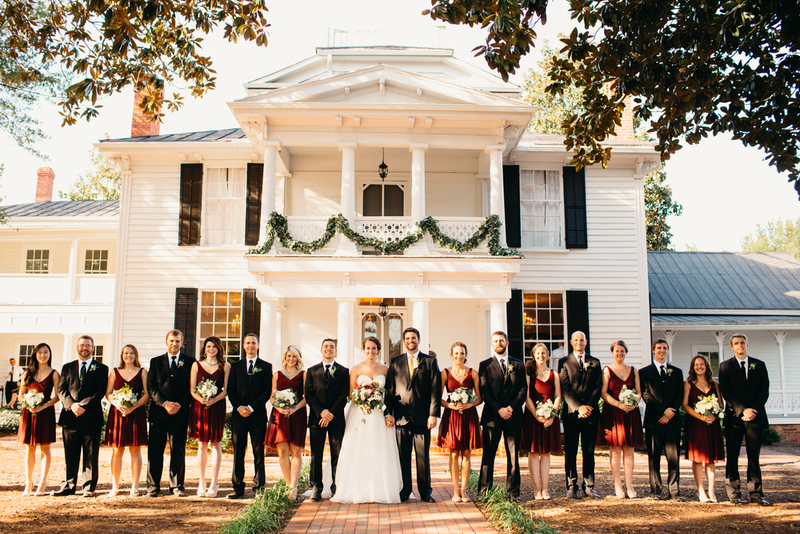 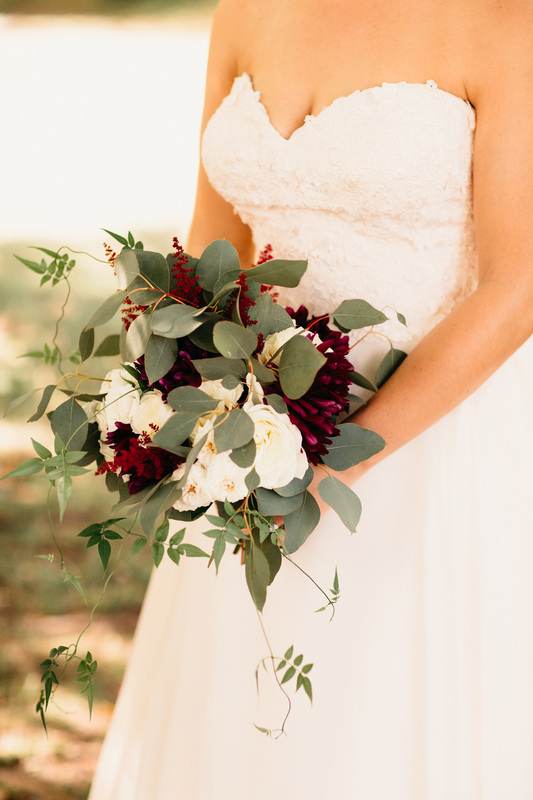 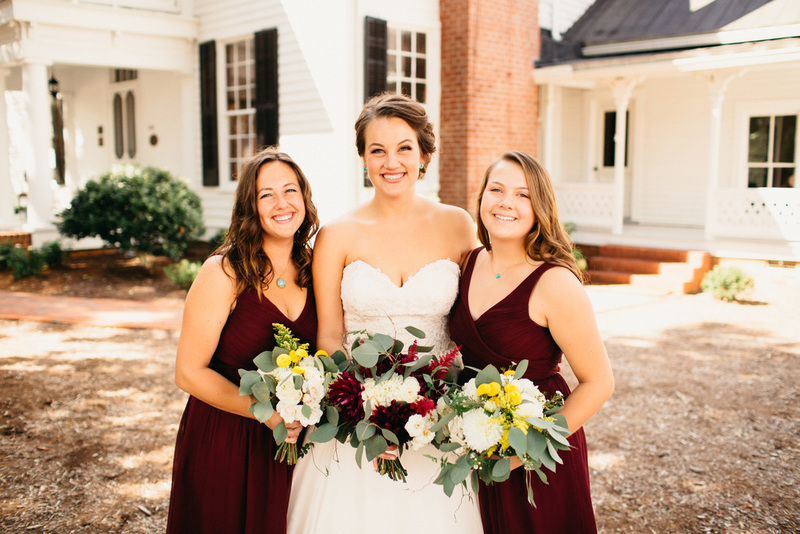 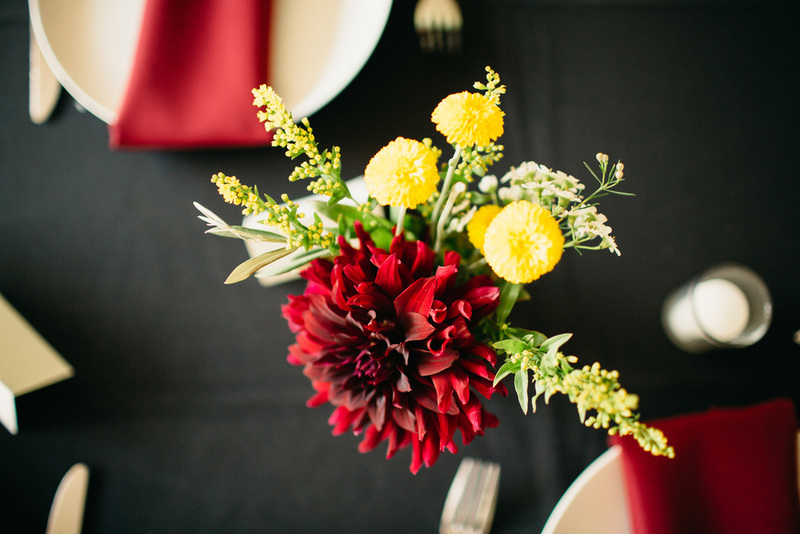 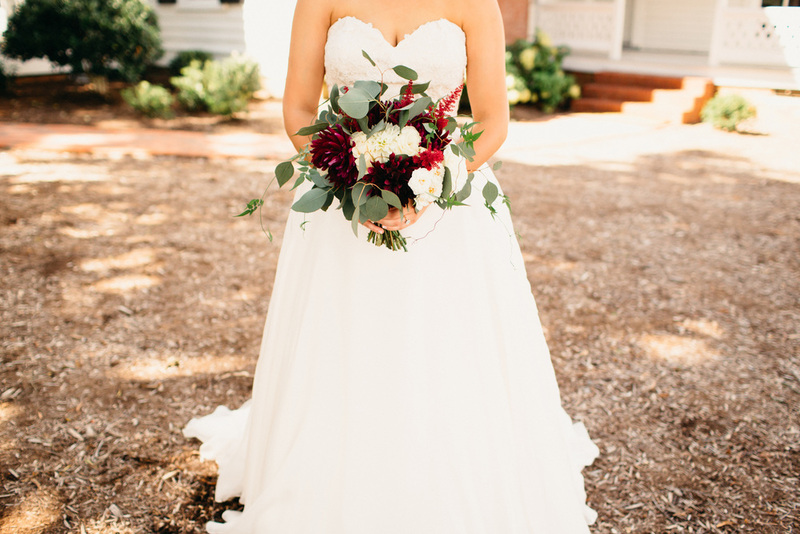 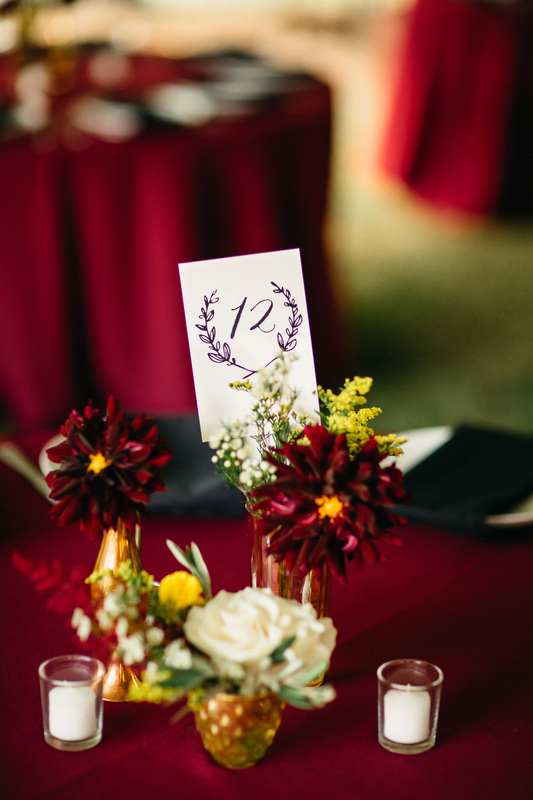 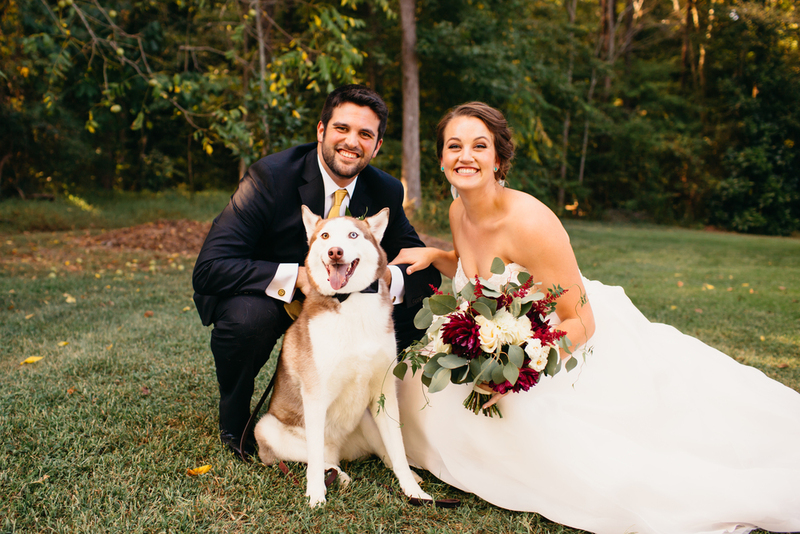 We were so excited to work with a fun color palette of burgundy and mustard blooms. 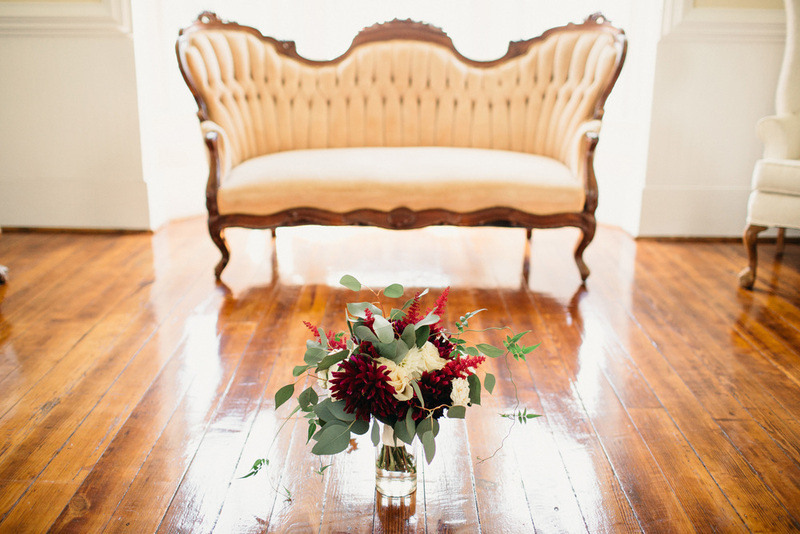 Vintage pieces from Farm + Filigree completed their reception floral look. 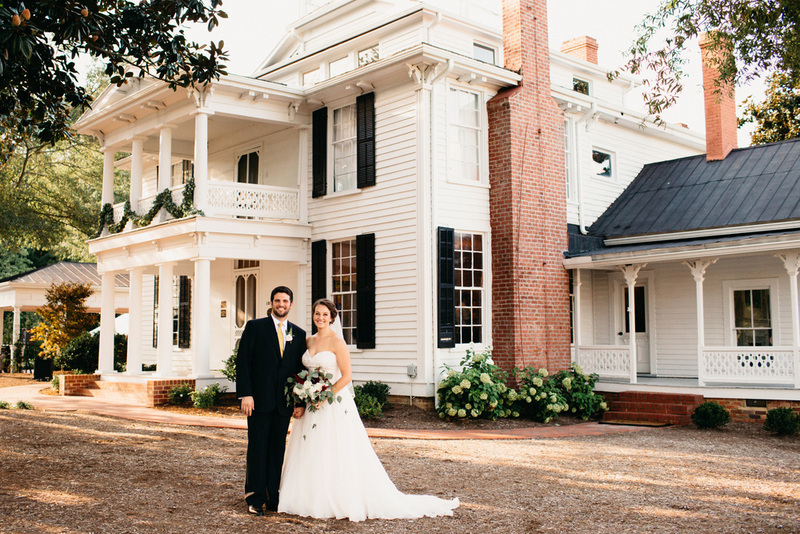 Thank you to Anderson Shore Photography for sharing these images with us! 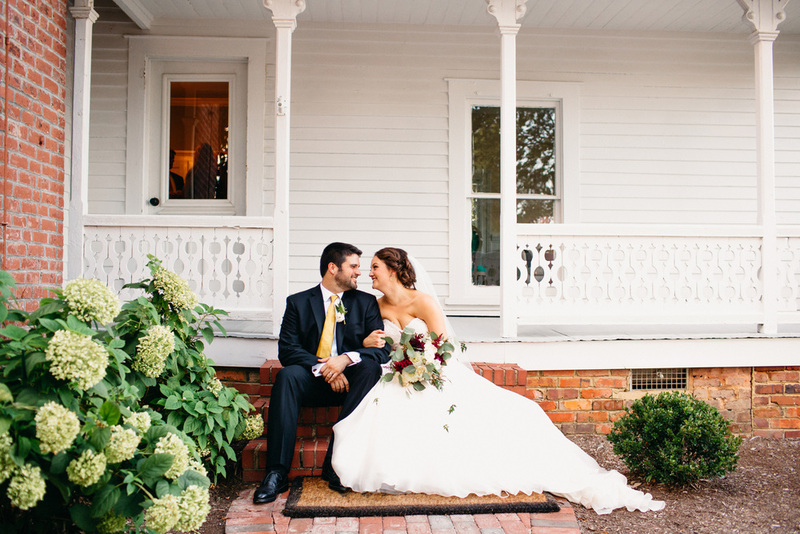 And be sure to scroll to the end for their wedding video from Heart Stone Films. 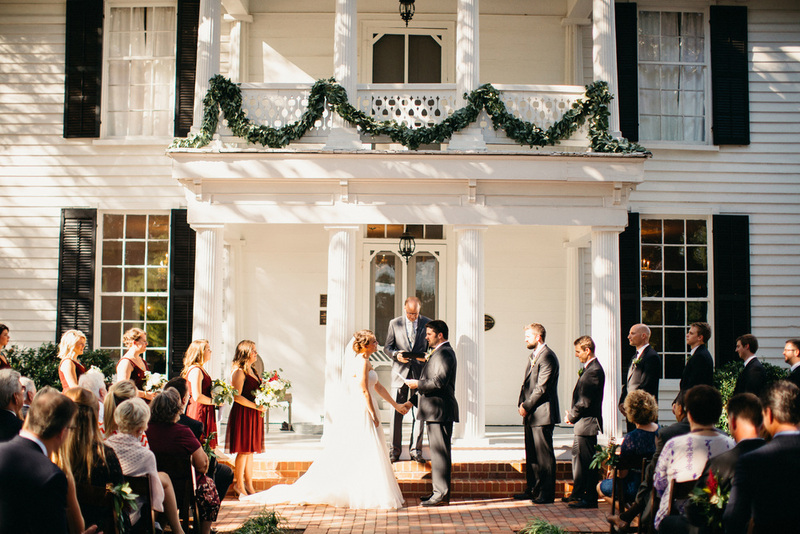 A Raleigh NC Wedding Film by Heart Stone Films | Winnie + Patrick from Heart Stone Films on Vimeo.